Midlands State University hosted an international conference on sustainable economic transformation, innovation and governance in emerging economies organised by the University’s Faculty of Commerce. The three-day conference ran from the 6th to the 8th of February 2019. The conference sought to broaden the scope of understanding sustainable development, economic transformation, innovation and governance issues as well as their implications for public policy in addition to presenting evidence-based strategies to address economic challenges and social malaise. Addressing delegates who attended the conference the Minister of Higher and Tertiary Education, Science and Technology Development, Professor Amon Murwira, in a speech read on his behalf by the Permanent Secretary in the Ministry, Professor Fanuel Tagwira, emphasized the role of knowledge in economic transformation saying, ‘economies are transformed by knowledge; knowledge which can be converted into goods and services’. 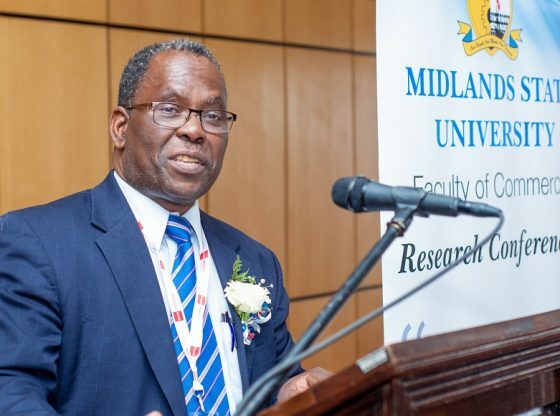 In his welcome remarks, MSU Vice-Chancellor, Professor V. N. Muzvidziwa noted that universities had the responsibility of driving sustainable economic transformation. ‘Universities bear the sacred responsibility of driving sustainable economic transformation through research, innovation and synergistic relationships with industry’, said the Vice-Chancellor. Among those who graced the conference were the Midlands State University Chairman of Council, Engineer Caleb Makwiranzou, Chief Executive Officer for Econet Wireless Zimbabwe, Professor Douglas Mboweni (Keynote Speaker), the Vice-Chancellor and Principal of the University of Venda, South Africa, Dr Ndanduleni Nthambeleni, MSU Pro-Vice-Chancellor, Research and Academic Affairs, Professor Doreen Moyo, MSU Pro-Vice-Chancellor, Business Development and Administration, Professor Kadmiel Wekwete and various other stakeholders.